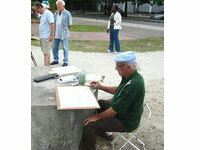 The International Plein Air Painters Worldwide Paint Out is an event happening simultaneously all over the world during a scheduled weekend of September . 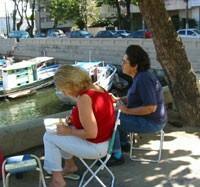 Artists from several different countries gather together to paint outdoors. 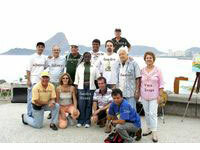 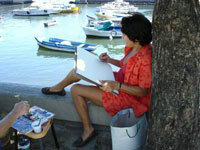 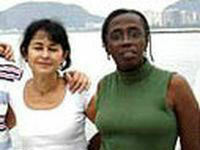 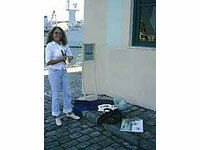 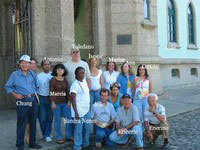 This year we painted at the Guanabara Bayside on Septembet 10th. 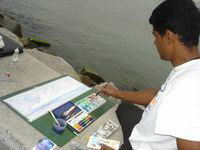 It was a late winter cloudy day, it was hazy and looking like a rain would come. 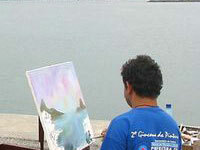 Fortunatelly we could paint all morning and the weather didn`t change. 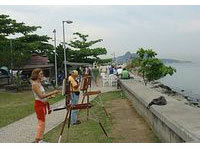 Maybe because of the threatening weather, we all huddled at the same spot along the bay. 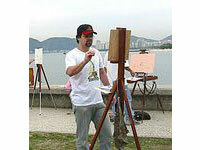 In my painting "Bayside" I tryed to capture the day´s humid atmosphere We had a great time as usual and the energy of an event like this strenghtens the connection among the fellow artists. 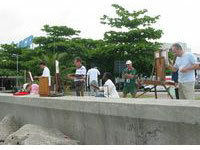 The International Plein Air Painters Worldwide Paint Out is an event happening simultaneously all over the world a weekend of September . 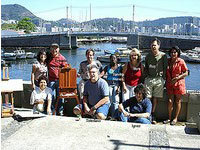 Artists from several different countries gather together to paint outdoors. 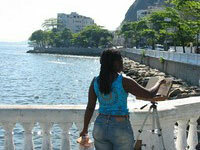 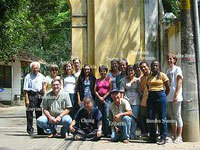 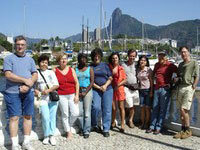 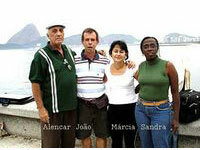 To celebrate the event this year we went to Urca, one of Rio's most charming neighborhoods. 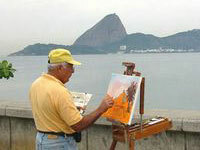 With six squares and only 16 streets , it is home of one of most famous postcards, the Sugarloaf (Pão de Açúcar). 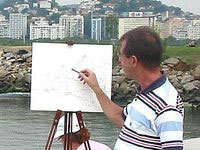 Surrounded by Guanabara Bay, overlooking other important landmark (Corcovado) , this district has a great historic role as reportedly this is where the Portuguese Estácio de Sá inaugurated the City in 1565. 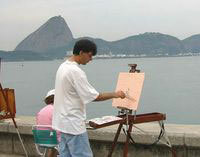 The International Plein Air Painters Worldwide Paint Out is an event happening simultaneously all over the world during the weekend of September 10/12. 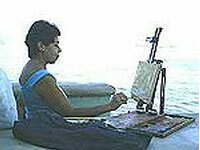 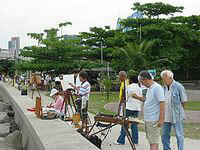 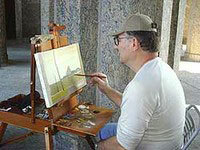 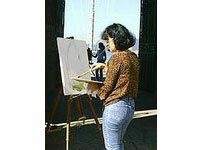 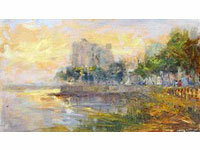 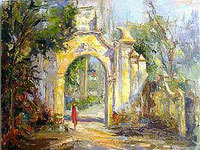 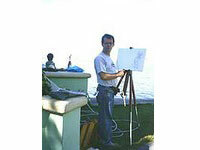 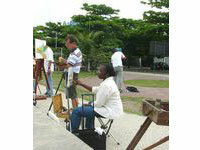 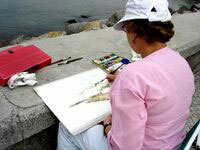 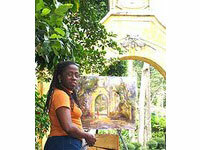 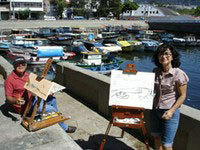 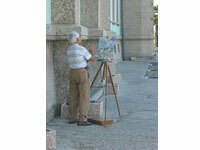 Artists from several different countries gathered together to paint outdoors. 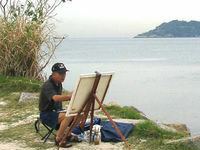 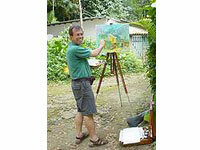 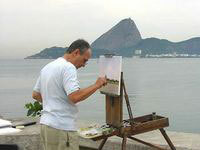 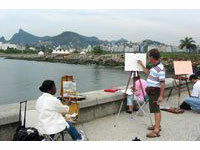 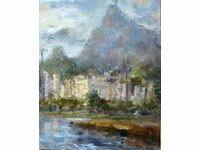 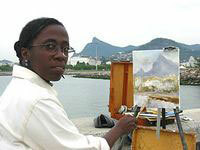 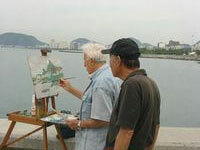 Rio de Janeiro is nestled between the sea and the mountains covered by Rain Forest, we are blessed by a very pleasant whether throughout the year, that is a constant invitation to plein air painting. 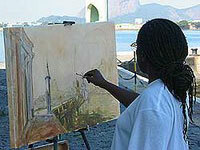 We have chosen for our first paint out event the exquisite Fiscal Island with its 19th century green palace built by Emperor Peter II in neo gothic style, nowadays the island belongs to the Brazilian Navy. 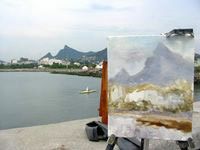 We were challenged by a windy day and people who were painting near the board of the ocean were invited to move away, so we could not have a panoramic view of the palace this time.